The new era in air distribution systems has begun. 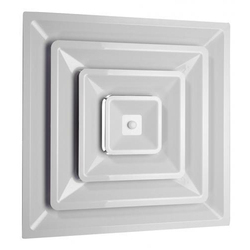 Introducing for the first time, AAC's one piece Plastic Air Diffuser. A product beyond imagination. Fit it forget it. 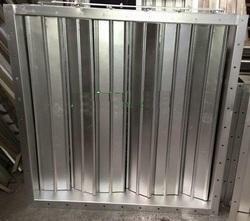 The time has come to scrap aluminum, Gl, SS and PVC Diffusers this is a unique product from India. Round Diffuser manufactured from MS/ GI material, available in different variants i. e. Painted / powder coated. widely used in air distribution under air conditioning, textile mills, multiplexes, mall. Inquiries should be submitted with technical details like outer dia., collar size, painted or powder coated, with damper or without a damper. We are leading supplier of Volume Control Damper (VCD). It is used for controlling air quantity for unique air flow among all diffusers. 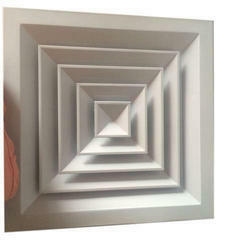 Air Diffuseris constructed from high-grade aluminum extruded sections duly powder coated. Depending upon the ceiling and process can be made flush type, anti-smudge and step down. Looking for Air Diffusers ?